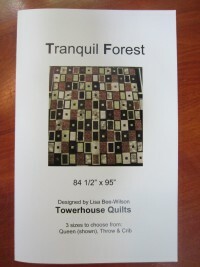 This pattern includes directions for three sizes of quilts to choose from: Queen, Throw & Crib. Use up your stash (I know you have one!) and make it scrappy, or choose a limited fabric palette and go for a more sophisticated and modern look. Or purchase this right now from my Craftsy.com shop. The downloadable pattern is only $5.00 and you can start in on it right away!